This is a headset for your smartphone. 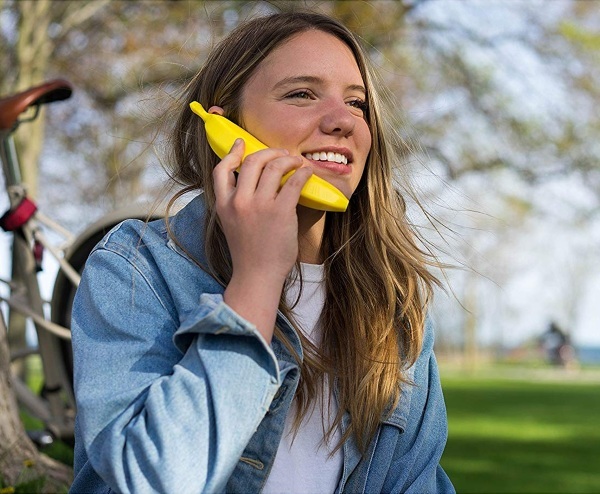 Unlike other options which are made to mimic classic phones, this is a banana because, why not? That’s the whole reason behind this. Why not have a laugh? Life is short, brighten it up a bit. 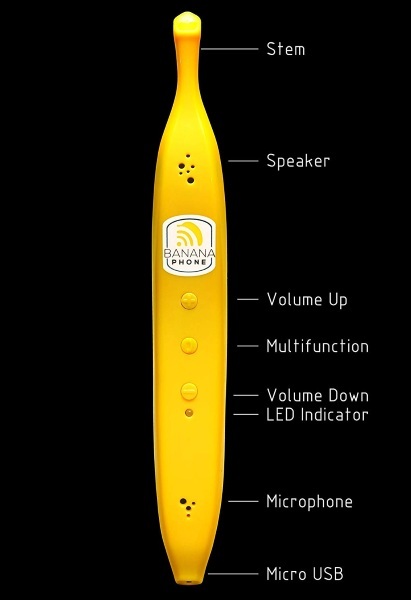 You can use this to answer and end calls that come into your smartphone. It does need to be connected via Bluetooth but you can also use the phone as normal if you would like. This is a fun thing to have to brighten the mood and make people laugh. You can cradle it on your shoulder but it’s not very comfortable. If you’re the joking type, you can get one of these for $39.99.